Logic for Quads. Today’s treat from Software Update: Logic Pro 7.2.2 is a must-download if you’re lucky enough to have a new Mac Pro desktop. The update is optimized to take advantage of the Mac Pro’s quad-core architecture. Exactly what does that mean? I can’t say, because I’m perfectly happy blazing away on a dual-2.7GHz G5 (and had equally good experience when I had a MacBook Pro in for testing). But as we’ve observed before on CDM, multi-core optimization is the trend to watch. 10-foot Grands on 13-inch MacBooks. In other Mactel news, there’s a steady flow of Intel-native plug-ins — happily, too many to cover them all here on CDM. 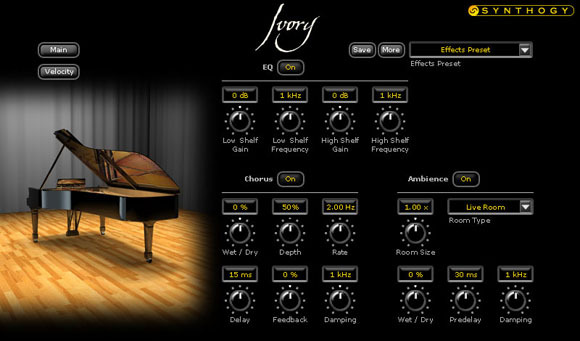 Synthogy has released their Universal Binary AU of their fantastic Ivory pianos plug-in; you can find it on their downloads page. Note that there isn’t an Intel-native VST. As with many of the Intel-native updates, this update to 1.5 is recommended for PowerPC users, too. The other good news is that Synthogy is working on an expansion back with a 10′ Italian instrument, recorded just upriver from here at SUNY Purchase (which happens to in fact be a great hall).